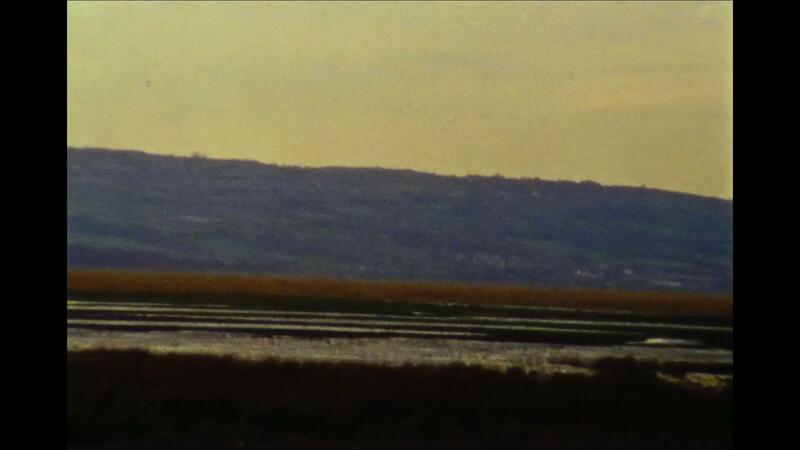 Artefacts (2014) is a short video piece shot on super 8 film. 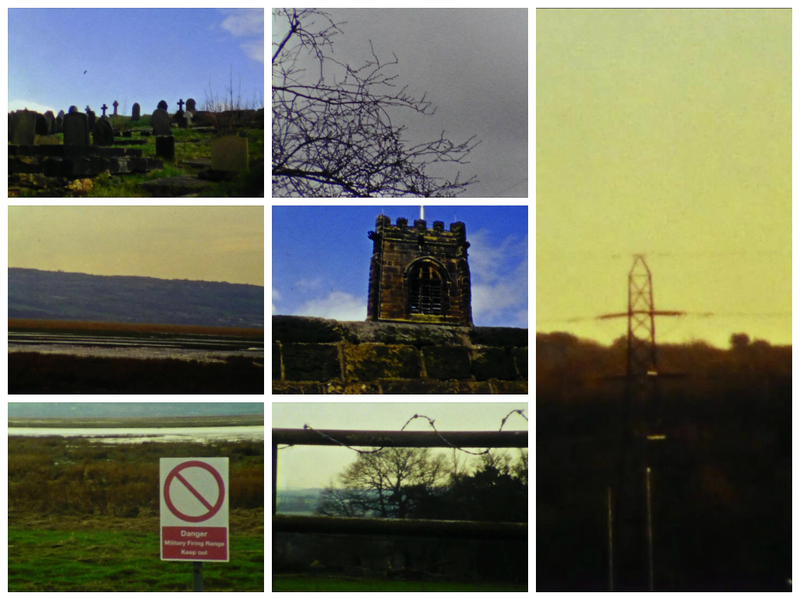 It captures the rural vistas around The Wirral which show hints of civilisation but fail to show the true presence of humanity. These rural areas are littered with man-made objects but the natural wilderness has won through, creating a sense of the uncanny and eerie in places almost haunted by their emptiness and natural isolation. The super 8 footage transports the locations back to an ambiguous area of time, ironically becoming an archaic artefact itself while in the process documenting other artefacts. Artefacts is therefore a paradox which becomes more ingrained and circular as the images gradually distort and the landscapes they represent fold in upon themselves before the film itself runs through. When approaching the making of Artefacts, the production of the video piece first brought up the question of order; should music be scored in reaction to film or should the film be constructed around the musical? Because of the method of filming used for Artefacts, this relationship was initially mixed, reflecting both potential methodologies and ultimately compromising for each technical hurdle. Artefacts is filmed on a Canon Zoom Super 8 camera from roughly 1972. The film used in Kodak Ektachrome colour which is luckily still produced today. The filming was completed first, quite simply because of the time factor in getting the film produced to a standard that can be edited with modern techniques. After the film was finished, it was sent off to be chemically developed and then digitised to enable editing on a computer program (in this case a basic version of Magix video editor). This took roughly a month so, in the time lapse between shooting and being able to see what the film actually looked like, rough compositional ideas were sketched. The music, both in sketch form and its finished form, was all produced from edited sounds made by Microkorg synthesiser. Each individual sound was recorded to a click-track on Pro-Tools 7 and exported out individually for later positioning. These basic sketches were mapped onto the film once returned and edited into its finished structure. Once the film was back, several extra sounds were produced as a reaction to the visuals and the natural rhythm inherent in the film and its various scratches and natural degradations. Once mapped onto the visual route of the film, each sound was exported back out of Magix and then put again into Pro-tools where it was mixed and edited with various effects and EQ before being mastered. The mix of some of the more sound-based tracks was particularly important as their natural wave-like reaction was especially apt for the piece and needed to be panned very specifically at different points within the video. This also meant some specific editing with delay and reverb was essential in creating several of the overlapping sounds, often to give a sense of an aural chasm as a contrast to the vast openness of some of the visuals. A similar aspect of this was increasing the sound’s dynamics at different points in the film, usually when the film was naturally distorted by the sunlight in some way. This gives the video a sense of chapters and benchmarks that map the route with which the film was shot as equally as the video maps the sense of time and place (the difference in place often meant realigning the film and often overexposing it in order to make the camera actually pass the film through its light space). Because of this, it was important to reflect this progression aurally and musically though the emphasis is far more subtle than its visual counterpart. 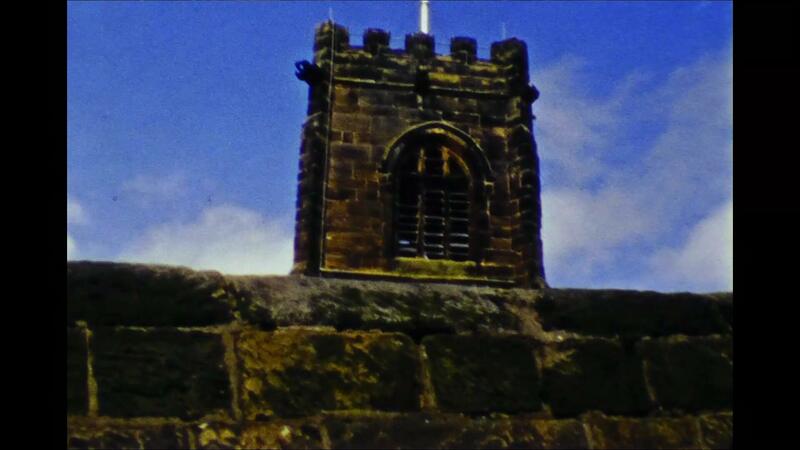 This was then added again to the visual element of the film and exported, leaving the finished video piece. Artefacts has several key themes which are addressed through its aesthetics. The scenarios and places filmed at are very deliberately sparse but with hints that people and civilisation have been there. 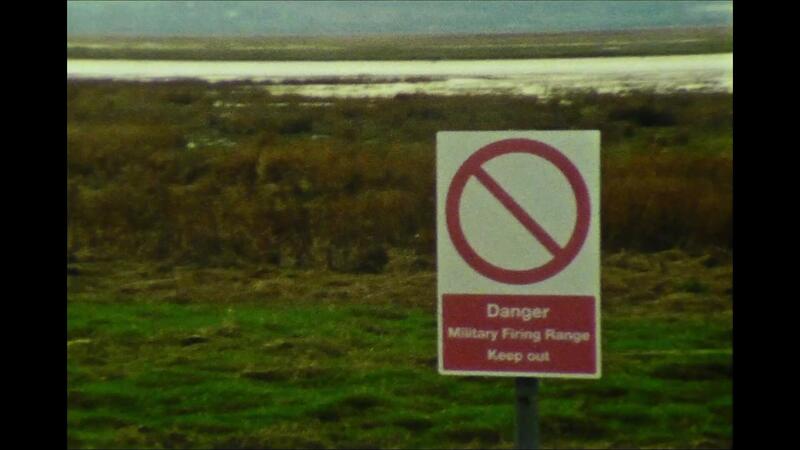 From the empty graveyard to the vast marsh, now supposedly used as a military firing range, the spaces aim to highlight an absence of people and the effect this has on the environment (i.e. the wild returns and grows back). This was an idea initially conceived after watching Andrei Tarkovsky’s Stalker (1979) in which an area known as The Zone is cordoned off and allowed to grow wild due to some form of fantastical activity happening there. In his volume Sculpting in Time, Tarkovsky explained this all encompassing connection, stating that “In all my films it seemed to me important to try establish the links which connect people (other than those of the flesh), those links which connect me to humanity, and all of us with everything that surrounds us.” (p.192, 1987). 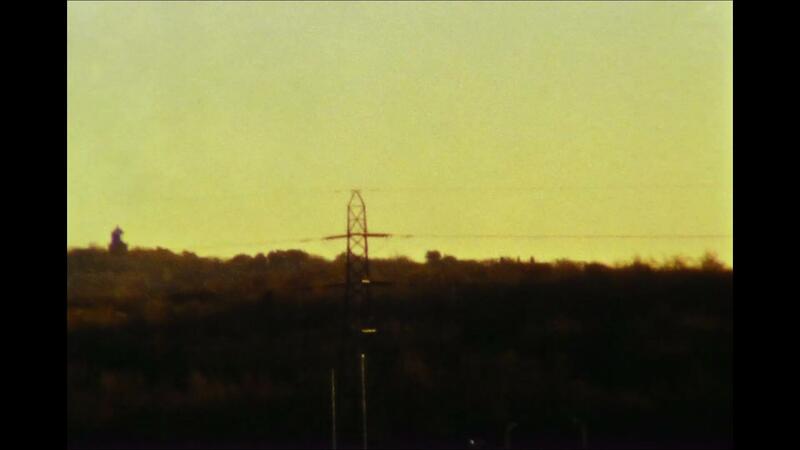 Another influence on a purely visual level was a short film by Derek Jarman called A Journey to Avebury (1971); a super 8 short video piece capturing the rural journey to Avebury town with strange electronic sounds by Coil creating a curious distance from the simple beauty of rural imagery. Fowler states that “Jarman projected these films at a very low frame rates, the slow movements and pulsing film grain intensifying the dream-like imagery. It was as though he was altering reality.” (p.44, 2014.) This was the same distance I wanted to create with my soundscape and my reality altered visuals. 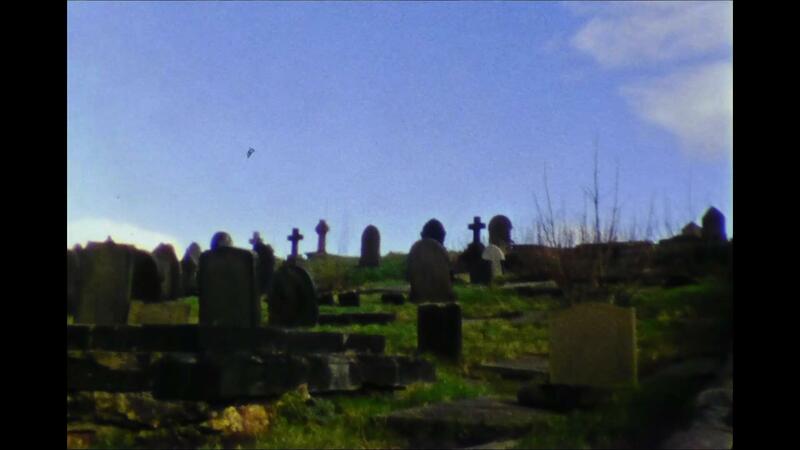 With the present-day Wirral now in the past thanks to the aesthetics of the super 8 film itself, it can start to become somewhere eerie again; a place where the uncanny has the potential to manifest in whatever form the viewer wishes. Without the soundscape, the footage has a little sense of this but not overtly. It required the musical elements to transplant a sense of the unknown and the presence of something perhaps more unnerving than simply a portrait of an empty landscape. The music becomes gradually more atonal because of this, as if leading to some climax as the images are more reflected and more distorted. By shooting on super 8 film, the footage is not only transported naturally to some unknown past, but is also essentially silent. This meant that I wanted to create a soundscape that was ambiguous in what was musical and what could be construed as some form of natural sound. The musical aspects are evocative of the work of the Radiophonic Workshop, hinting that the footage may be from a period loosely connected with the height of their work (namely the 1970s and the era that the camera was made). The more worldly sounds are also fabricated but are intentionally based around natural phenomena such as wind and waves, as if trying to trick the viewer into making a false link between the sounds of the empty environment and the manmade soundscape. Fowler, W., 2014. English Magus: The Many Faces of Derek Jarman from Sight & Sound March 2014, volume 24, issue 3. BFI Publishing, London. Tarkovsky, A., 1987. Sculpting in Time: The Great Russian Filmmaker Discusses His Art. University of Texas Press, Texas. Blue Ruin (Jeremy Saulnier, 2013) – The Violence of Family.